Christina Benty: Great Leaders Lead Their Own Lives, PowHERfully, First! It was my pleasure to finally get a chance to meet Sherry Strong, Entrepreneur, Food Philosopher and Founder of Return to Food, and learn a little about this ambitious holistic entrepreneur and powHERhouse. About four years ago Sherry Strong returned home to Canada from a 22-year working holiday in Australia. While to most of us, a working holiday means spending a couple hours a day in meetings, conferences, researching and the like, and spending the rest of your time lying on the beach or the sitting up at the pool bar, it meant a lot more to Sherry. She started working as a chef in some of the best restaurants in Melbourne. Following her intuition and realizing she did not want to work in a commercial kitchen, she started a cooking school called the Food Lovers Workshop. From there she became a member of the board and then became the Chair of Nutrition Australia, Victoria. Sherry was involved in many multi-media programs and projects, was a keynote speaker, curator, author and teacher. Her accomplishments are too many to list here, but I invite you to learn more about her on her website. The interview started with Sherry giving me a brief overview of her history and how she developed her nutritional philosophy. “… I started to develop philosophies that helped people end ‘nutritional confusion’ because I realized that most people were really, really confused about what it is that we’re meant to be eating because there is so much conflicting information. I studied the Dietetics Program at Deakin University, and I discovered – between my studies and speaking from my Chair position at conferences – how education is influenced by industry. Example, course syllabi on dairy are funded by the Dairy Corporation. That bias didn’t sit well with me, and I thought I’m not willing to lie my way through a degree. There were no nutrition schools around at that time in Melbourne, so I started to do my own research and develop my own philosophies – Nature’s Principle, The Consumption Concept, The Lethal Recipe, etc. 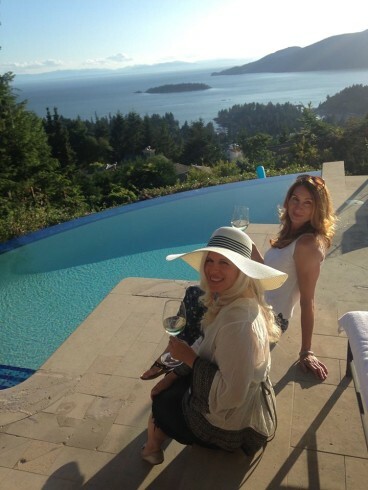 Sherry went on to fly around the world to give people lifestyle makeovers, develop the World Wellness Project Summit and move with some very interesting individuals in the industry. She quickly began to see that constant travel was not a sustainable way to have a major impact or to generate income by doing this solo. 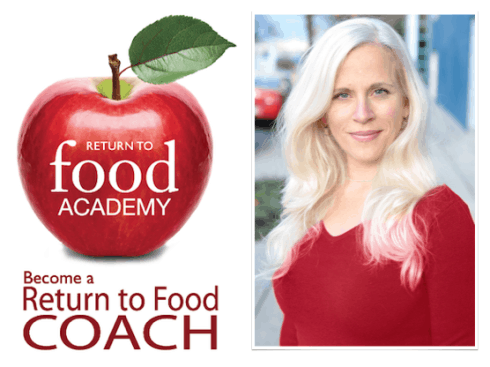 Sherry created what is now The Return to Food Academy where she teaches people to become Return to Food coaches. What’s in your future now? Where is this going? With the Return to Food Academy, I realized: This is it. I’ve reached the destination, and now my intuition is following the things that actually refine the program, the marketing, the sales. I’m now linking up with joint venture partners. This feels like the culmination of everything I’ve done and what I’m here to do. Can you describe your success strategy in one sentence? Tenacity. Just keep going. If you have a vision that feels like life force to you, do something everyday that moves you toward it, and keep tapping into the vision as fuel. What was the most pivotal or useful thing in your career so far? Following my intuition – bar none. When you follow your intuition and tap into your instinct, you’ll make the best decisions – particularly when you learn to make decision out of love and not fear. How do you balance a busy career with a healthy lifestyle? I make deliberate choices to put my health, wellbeing and sanity over making money. That means starting the day with self-care, meditation, a walk or some form of movement, a great breakfast and then I’ve given my body what it needs to go to work for my life. Your thoughts on mentoring women? What do you feel are your most valuable lessons to pass on? We really need to support one another and be there for each other. I have many women who I mentor informally in the small things or emotional areas (no one does that better than we women 😉 but when it comes to business, they need to be invested; otherwise, it is not valued, and if their not invested they rarely take consistent action. • Keep going, everything you do towards your goals counts. • Meditate. Get your mind quiet so you can listen to your soul. • Forgive yourself quickly. You’re doing your best. EVERY mistake is a powerful lesson. Learn it, and move on. • Find what you love doing and figure out a business or job that can facilitate you being in and around it. Then everyday is about following your bliss. • Don’t be a lone wolf. Get help, get connected to networks, and be vulnerable to ask for help from a position of power. What can PowHERhouse do for you? I’m interested in helping people get back to eating real food and finding people who want to make a living doing this. Getting the word out would be awesome and appreciated. What can I do for PowHERhouse? From the Editor: Well Sherry, you are doing it! Slowly but surely, constantly and consistently, PowHERhouse is connecting with PowHERful women from all walks of life who Get It. You are a leader in the real food industry, a pioneer, a visionary, a woman making an impact. It is our pleasure to support you, and we look forward to collaborating further in the future. PowHERful women need powHERful fuel! Before we go, can you give us a little teaser about your retreat? Sherry gave me a lot more information but in order to keep it in the ‘teaser ‘ realm, I’ll refrain from sharing – you’ll have to check her out to get the rest of the amazing details! 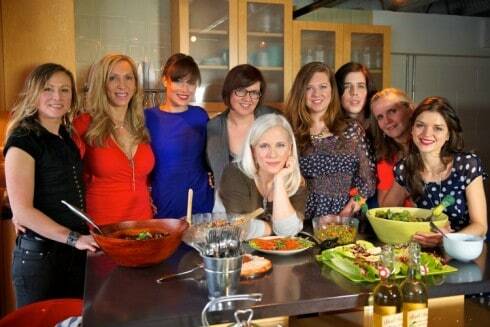 Enjoy this recipe from Sherry, a special PowHERhouse treat! Consuming this recipe several times a week will satisfy and put to an end to your sugar cravings. Chia Seeds are the miracle seeds lauded in the book Born to Run by Christopher McDougall, who wrote of the Tarahumara, a Mexican tribe described as “the running people”—ultra-athletes who run 50 or 100 miles at a time effortlessly and seemingly for pure enjoyment. They are a great source of Omega 3’s, good calcium, soluble fiber, digestible protein, vitamins, minerals, and phytochemicals, and require no processing, no cooking…it’s all good. You can have this recipe as both a breakfast and a dessert. I’ve served it as both with rave reviews. Because it is so jam-packed with nutrients, you will feel satisfied and a sense of well-being after eating it. 1. Mix seeds and water, making sure the seeds are not clumping and are covered by water. 2. Soak overnight. Soaking overnight allows the enzymes to activate, which will mean you will get more nourishment from the seeds. To serve, simply add toppings as desired: chopped raw nuts, sultanas, fresh fruit and nut milk. You can buy almond milk or other nut milks, keeping in mind to buy the ones with ingredients you recognize and understand what they are; once they start to list ingredients you couldn’t buy off the supermarket or health food shop shelves, you pretty much know it is highly processed. This recipe is just one of Sherry’s solutions to help keep busy women powHERful and strong. We encourage you to check out all 7 strategic Recipes for Life that you can receive from Sherry in her 63-page ebook. More info here. Guess what? We’ve got a special PowHERhouse promotion. Simply use 7forfreedom as your promo code, and as a valued PowHERhouse peep, you’ll receive Sherry’s Recipes for Life as our FREE gift! Interested to join Sherry’s 7-Day Food Challenge? We highly recommend it. Here’s more details! Charlene Conlin, Registered Holistic Nutritionist is passionate about health and whole food. 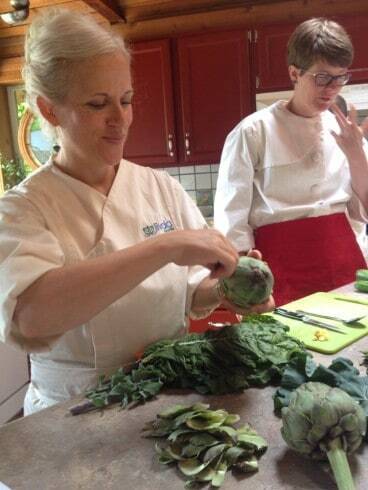 Her love of cooking led her to the Professional Culinary Program at the Northwest Culinary Academy of Vancouver, where she learned the preparation and cooking methods that turn simple, fresh whole food ingredients into mouth-watering meals that are as healthy as they are delicious. 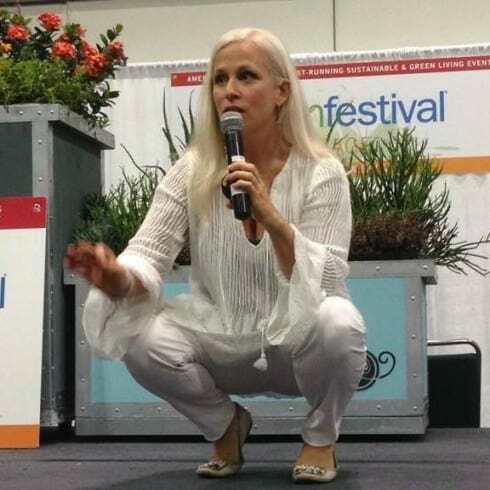 Charlene’s love of helping others motivated her to graduate from the Holistic Nutrition Program at the Canadian School of Natural Nutrition, where she learned the Holistic Nutrition principles that are the foundation of healthy living. A mother of two, Charlene also has a keen understanding of the need for simplicity and balance. Her goal is to empower you through education and give you the practical tools you need to make positive lifestyle changes easily and permanently.